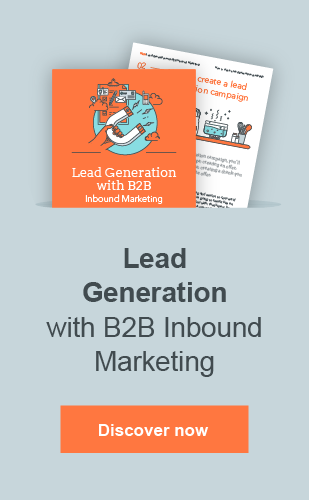 Usually, once these marketers discover the benefits and strategies of the inbound marketing methodology, there’s not too much that can deter them from it, and they’ll stop at nothing for a successful implementation for them and their sales team. However, the process of creating effective inbound strategy isn’t an easy one, and even the most experienced professionals can make mistakes, often without realizing it. Over these years of working with businesses and marketers to help them in creating effective inbound campaigns, we’ve seen 5 common errors that occur across industries and regions when companies are executing their inbound marketing plans. As marketers, we’re trained to locate and seize opportunities for promotion wherever they may exist and without hesitation, especially when it comes to global campaigns where the pressure is really on. Maybe it’s a worldwide expansion or a new product launch, but no matter what — we always want to go BIG. Regardless of the circumstances, one classic mantra almost always rings true — less is more. The more focused we can be on a certain promotion plan and strategy, the better the results that we can anticipate. In other words, narrow it down to make it as specific as possible. One of our clients asked us once to prepare a strategy for a global campaign that would promote a highly intricate service across regions. As it turned out, the services were complex enough that the only way to approach it was to create a longer-term strategy consisting of a few smaller campaigns so that we were able to give adequate attention to properly explain each part of the services. If we don’t have clear goals, how can we know if we’ve met them? That’s why it is essential to create SMART goals (Specific, Measureable, Attainable, Relevant, Timely — more about those here) that are focused on a single, distinct objective. As this concept is not a new one, it is likely you’ve already determined some objectives and subsequently some numbers that you would like to reach through your marketing efforts. However, when creating these goals, it is essential that you base them on information derived from both previous and ongoing campaigns in order to ensure that they are not unrealistic. In other words, your number should be ambitious and something that your business can grow to, but there should be logic and data behind it. For example, it wouldn’t be reasonable to expect that your first lead generation campaign would bring in 1000 leads if you’ve never created and used content in such a way before. You know your target audience better than anyone else through your deep involvement in the company and industry you work in. However, when planning a new inbound campaign, it is essential to also understand your buyer personas. “But Wings4U”, you say. “We already know our target audience”. And while it’s true that understanding your larger target audience is essential for creating content that is attractive and effective, it’s not quite enough. Target audience and buyer personas, while related, are not the same thing. “Women, aged 25–35, working in public relations, with moderate purchasing power, motivated by products that allow for better communications and have a social aspect”. With this information in mind, we can create a campaign that focuses on the aspects of our product or service that fulfill this ideal by understanding the perspective of this buyer persona. So now that you’ve discovered inbound marketing and seen the results that it generates for other companies, you’re ready to give it a try, right? Fit in with your data-driven strategy. But what can we do to help ensure the effectiveness of our campaign? First we need to start at the roots of any marketing effort — the strategy. We may be full of great ideas for content, but they’re pretty much useless without the logic or metrics to support them. To avoid this, try interviewing your current customers to learn more about their decision-making processes, pain points, and decision-drivers. Once you have this information you can create more targeted buyer personas and adjust your content accordingly — especially as you begin accompanying your target audience along their buyer’s journey, from awareness, through consideration and finally to decision — because of your improved understanding of the challenges they face. Some potential customers may have just recently realized that they have a challenge with something, which means you can support them with educational content on the issue they are facing (awareness phase). Once they have a better understanding of the challenge, they can begin the search for available and viable solutions (consideration phase) to help them to make a decision about what the best remedy to their problem is (decision phase). Your content should be designed with this decision process in mind in order to push your potential customers through the sales funnel. So you’ve done it all; you’ve created the lead campaign, and now it’s time to sit back and let sales take care of the rest of the process, right? Not exactly. 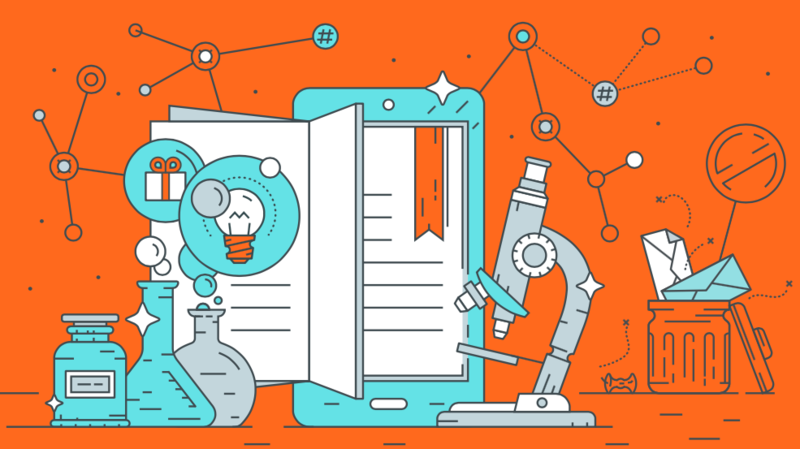 A major part of the inbound methodology is to nurture and educate leads, rather than to sell to them. In other words, the lead is just the start of the relationship-building process and is a great opportunity to help your prospect to become a more informed buyer. This can then have a ripple effect of not only helping your potential buyer to see you as a trusted resource in your industry, but also as a potential solution down the line for problems that they may encounter. Avoid excessive promotion of your content. Keep focus. Create specific SMART goals and understand the ‘why’ behind them. Determine appropriate audiences for your campaign, including having a deep understanding of who they are and what they are looking for. Understand the place of your content in your overall strategy. Focus on more than just the leads generated — consider how your content can be valuable, informational, and can help to build your relationships and credibility. Content marketing is an essential part of any successful strategy, so it is essential that it is implemented in a way that is not only effective, but also enables us to understand why it is effective. If you’re worried that you may be committing one of the common errors above or are in search of ideas to help you get started on your own inbound journey, send us an email to chat with one of our experienced marketing strategist who can help you to find and reach your marketing goals.